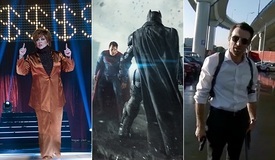 When it comes to 2014, the name of the game between April and August will again be "superheroes". During that span, four Marvel Comics properties (two a part of the Avengers-related Marvel Cinematic Universe) will make their way into multiplexes. 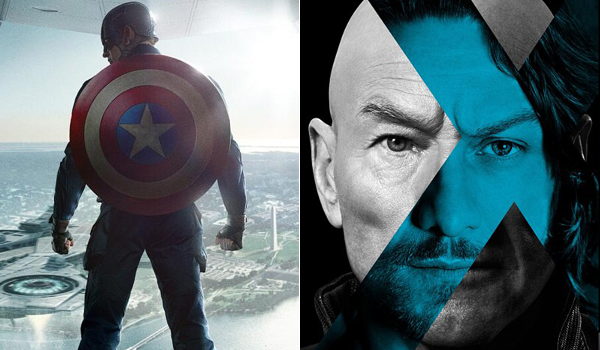 Fans have recently caught their first official glimpses at two of them: Captain America: The Winter Soldier and X-Men: Days of Future Past. 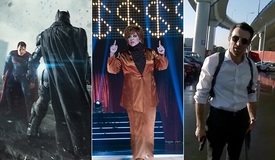 As the kick-off to their respective marketing campaigns, how are their teaser trailers faring? Quite well. 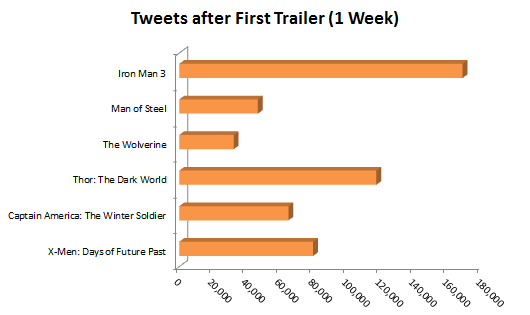 The Winter Soldier teaser generated nearly 65,000 tweets during the week after its October 24 debut. Among 2013's comic adaptations, that's behind Iron Man 3 and Thor: The Dark World (which have arguably eaten up the majority of carryover Avengers goodwill), but significantly ahead of Man of Steel and The Wolverine. Fans are certainly intrigued by the Captain America sequel as it promises to have the most connections to The Avengers with Scarlett Johansson and Samuel L. Jackson returning as Black Widow and Nick Fury, alongside Chris Evans' titular character. Look no further than the unprecedented 100 percent anticipation score from about 70,000 Flixster users--more than the Captain's first pic carried the day before its release--for evidence that the original Avenger has gained a lot of audience traction. The April 4 debut for Winter Soldier is a new strategy for the MCU. As this week's Thor sequel marks the first of the series to debut outside of summer, next year's Captain America follow-up will be the first Avenger release outside a major moviegoing season (summer or holiday). 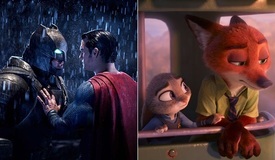 The industry's recent bid to turn April into an extension of early summer (see 2011's Fast Five and March 2012's The Hunger Games) could make this a two-pronged benefit for Disney: the flick will release in a less competitive market, and could potentially steal some thunder from Sony's The Amazing Spider-Man 2--set for a May 2 release as the "official" summer kick-off. Not long after Spidey swings back into theaters will come director Bryan Singer's X-Men: Days of Future Past (May 23). 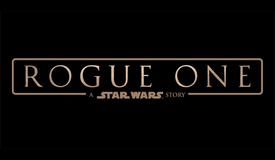 Its first trailer was responsible for almost 80,000 tweets, or about 147 percent more chatter than The Wolverine's teaser inspired earlier this year. 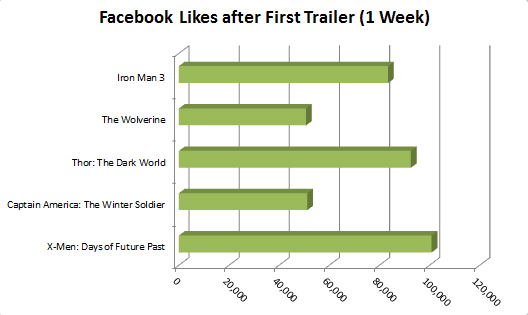 Days of Future Past posted an even more impressive showing on Facebook with the addition of 100,798 fans--twice as many as The Winter Soldier, and exceeding the number of new "likes" which followed Thor: The Dark World's and Iron Man 3's first trailers. Flixster is another bright spot for the X-Men mega-sequel where the pic similarly boasts a 100 percent anticipation score from just over 64,000 users--virtually in line with The Winter Soldier. Although it stands apart from the Disney/Marvel continuity, Fox's and Singer's moves to bring together both casts from the original X-Men blockbusters and 2011's well-received First Class prequel is so far proving to be a master stroke. Online buzz hasn't been this strong for the franchise in a decade, and the promise of a massive ensemble cast of stars surely has the studio hoping to cash in on The Avengers' recent success. The time travelling nature of the film's plot (and how it relates--or doesn't relate--to past X-Men sequels will be tricky to execute for the uninitiated masses, but so far, the team behind Days of Future Past is hitting the right notes by bringing together the franchise's most successful elements. 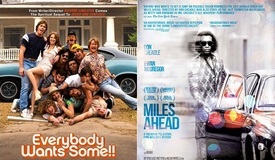 What kind of box office prospects are in store for these two anticipated sequels? The Dark World's upcoming performance will give us the most insight into what Captain America: The Winter Soldier can do next spring, but a $200 million domestic run and at least $500 million worldwide aren't hard to imagine with a post-Avengers bump (The first Captain America banked $177 million / $368 million). As for Bryan Singer's return to the X-Men franchise, it has an uphill battle needing to win back audiences that withered away over the course of three spin-offs since 2006's The Last Stand. That said, they're doing something right so far, and if current buzz is only a precursor to a real crowd-pleaser, we might see the franchise's first $300+ million domestic earner. Globally, it should have little trouble topping Last Stand's $459 million. Either way, if you were hoping for a break from comic book characters after 2013's busy year for the genre, you're out of luck. Our bet is that theater owners and studios certainly don't feel the same right now.